Masternode coin PURA - ready to set up your own master node? 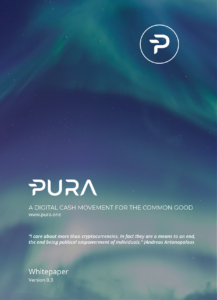 PURA is a Masternode coin. Masternodes are computers (small servers) that run a PURA Wallet and provide services to the network, such as instant pay and private pay. Consequently, this is a very convenient way to create passive income. In order to set up a PURA Masternode, you need to lock-up 100.000 PURA on your wallet and install a masternode server. Currently, masternodes get 60% of the block reward, which is around 15 PURA. For further technical details, please also see our informative video. We are very proud to announce that currently around 59% of the existing coin supply is locked-up in masternodes. Thus we are assuming that this will increase up to 65% until end of the year. All in all this is huge success and also a great commitment from the PURA community, which should result in a stable and higher price within the next weeks. To all PURA lovers out there – get your PURA into a masternode and earn passive income today!